Despite being sometimes described as "museums for plants", herbaria aren't just natural history storage and displays. In this era of DNA barcoding, big data, biosecurity threats, bio-prospecting, and global information sharing, herbaria are complex and evolving institutions. If you tell someone that you work at a herbarium, most will ask "what's that? ", or perhaps "oh, what kind of herbs do you grow there?". 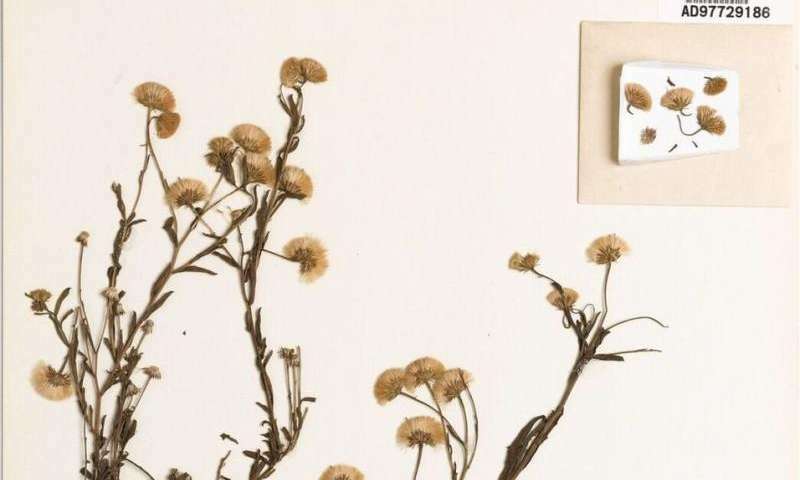 Herbarium specimens exist in many forms, including "pickled" plants or plant parts such as flowers or other delicate structures, dried specimens still attached to the surface on which they grew (like tree bark and rocks), and fruits or seeds preserved whole. But the overwhelming majority are dried, pressed plant specimens attached to archival card. Alongside these specimens there are sometimes drawings, paintings or photographs of the species, which capture details that are not discernible in the preserved specimen. 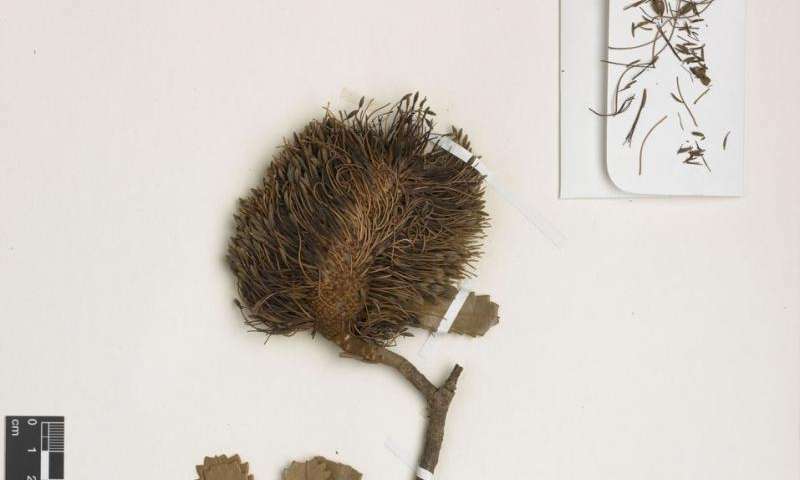 The plant specimens don't just exist on their own inside herbaria. Along with the specimens, the accompanying information is vital, such as where and when they were collected, specific details of the environments where they were collected, and who collected them. 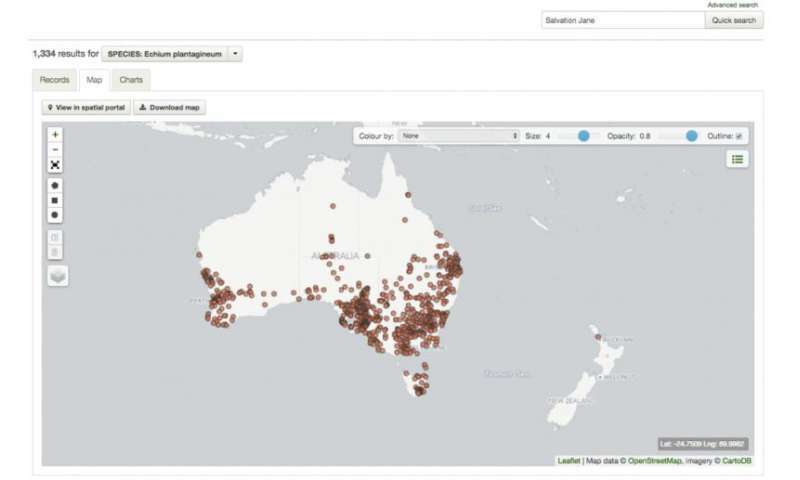 There are many applications of such evidence including tracking changing species distributions such as ferals and weeds (an example of the weed "Salvation Jane" is shown in the figure above). Herbaria have been active in supporting detection of biosecurity threats. New introductions of species to Australia need careful determination of their identity and herbaria work with agencies to assist with this. These historical specimens are often the first known collections of a previously undescribed species. If so, they will be designated as "type" specimens by the taxonomist naming the new species. Type specimens are very important as they allow the work of taxonomists to have a global frame of reference. This allows scientists to work out if two (or more) species have been assigned the same name. Expansion of the search for new biological compounds for human use—including medicines, food, cosmetics and other applications—exemplifies the problem of misapplied taxonomic names. For example the search for bioactive compounds in marine algae yields very different results for different species. But imagine if there wasn't a way to apply the precision of taxonomy in the search for information on the characteristics of a species to be used for biological control? Not only would time and money be lost, but the incorrect species could be used and unforseen outcomes may occur. Many herbaria have molecular genetics laboratories attached to them. DNA can be extracted from many specimens, even very old ones, and thus they can become a core part of ongoing DNA based scientific research. Today, DNA barcoding can provide a rapid tool for identifying species when flowers or fruits are not available, or if we have only fragments. Globally, DNA barcodes are now available for more than 265,448 species in the BOLD database. 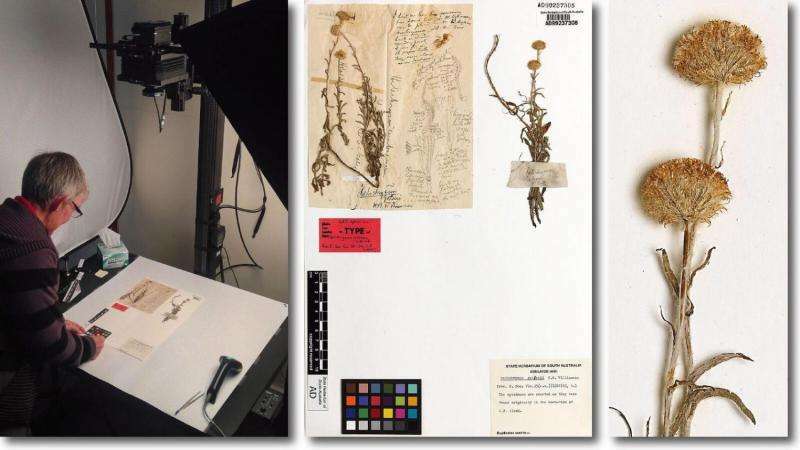 This aggregation of DNA sequences, which for plants are linked to herbarium vouchers, are a global resource that can be used in a "big data" context to explore ideas. I think you would need a special calling to do this. I certainly couldn't or wouldn't. I'm glad someone does though. I'm sure it is just one of the many specialties around the world that few people know about.